Tim and Christina live in Memphis, Tennessee but decided to get married in Orange County, California - or more specifically in Dana Point at Cannon's Restaurant on May 18, 2013. Christina's was original from Anaheim, so a wedding in Orange County seemed fit. After Christina did a few Google searches for "Indie Wedding DJ Orange County" and "Orange County Wedding DJ", she found my video last year! A few days later we exchanged emails and had our meeting via FaceTime. I was in Orange County and both her and Tim were in Memphis! And from that FaceTime meeting, I was hired. Tim and Christina wanted music to get all of their guests from the West Coast and the South dancing non-stop. Guests from the West Coast loved 80's pop, disco and Top 40 and while guests from Tennessee and Alabama loved rock and some country music. 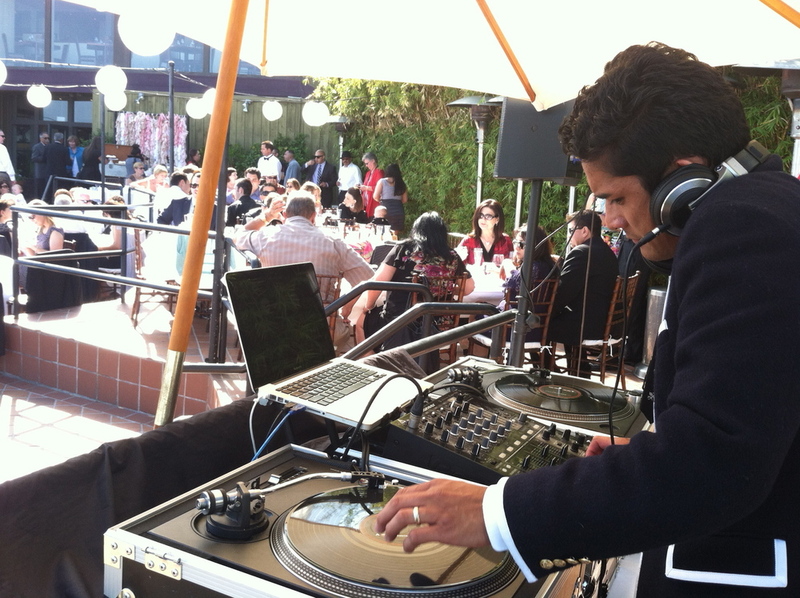 The music I played spanned from country, to 80's pop, to disco, to rock, to salsa and today's pop hits. Here is their playlist for the dance party portion of their reception. 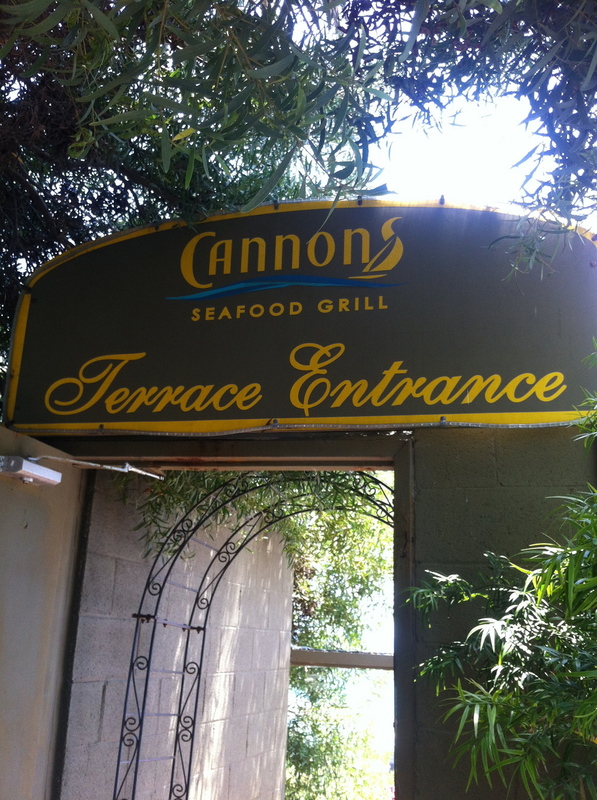 When I showed up to Cannon's, this is what greeted me. And if I had Pinterest, I would have pinned the following; the painted wooden initials of the bride and groom, the rustic window frame turned seating arrangement, and the chic cupcake desert station. The details were so impressive! The harbor view of Dana Point was mesmerizing. And during the setup, I was impressed at each of the decorations and the details Christina had envisioned all come together. What I loved about this wedding is that, the Tim and Christina allowed me the freedom to play. Throughout the night, I was able to play select country rock songs, organize a Soul Train line and play salsa music (see the playlist posted above). 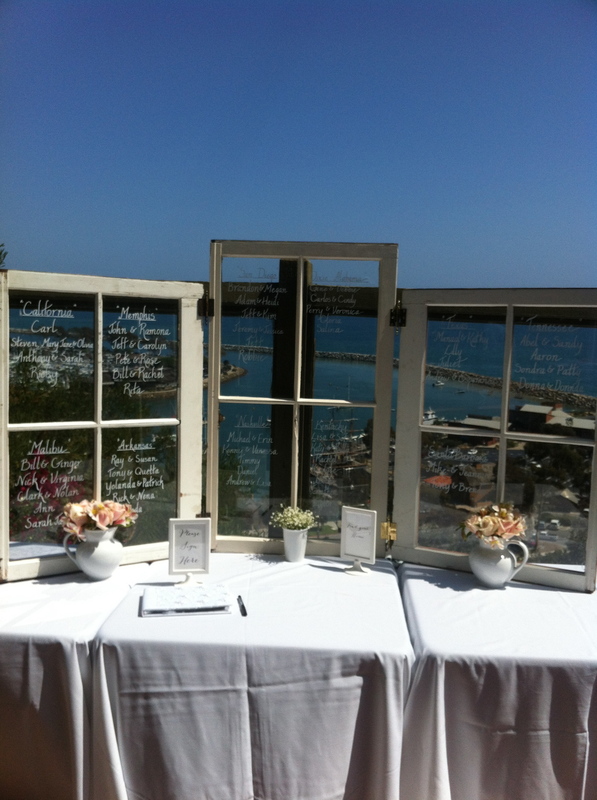 This is probably one of the best views behind the DJ booth; a view of a packed dance floor and Dana Point harbor! After a few hours of non-stop dancing, the party ended. 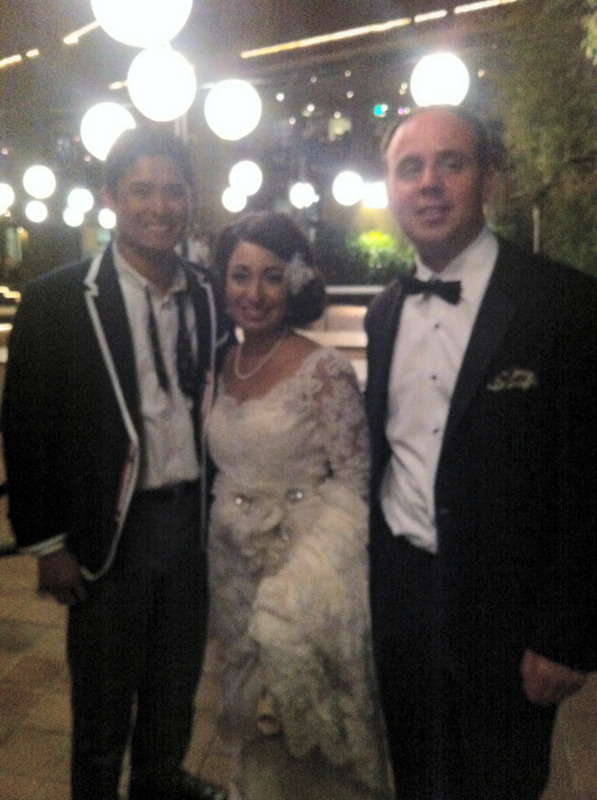 Here is a blurry but beautiful picture of Christina, Tim and I at the end of the evening. Thanks Christina and Tim!